Ontario Provincial Police have laid charges in connection with a July collision in Haliburton County that left a Toronto paramedic and his partner dead and two others badly injured. The crash happened on Highway 118 between Trappers Trail and Essonville Line in Highlands East Township at around 5 p.m. on July 15. According to police, an eastbound Chrysler PT Cruiser crossed the center line and collided with four of seven motorcycles travelling in the opposite direction. 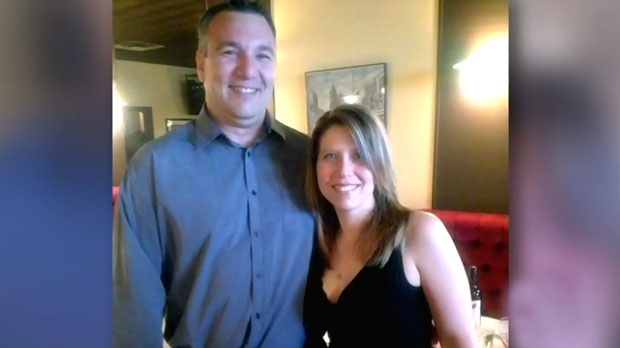 George Eliadis, 52, and his partner, 42-year-old Shari Williams both sustained fatal injuries. Eliadis has been identified as a deputy commander with Toronto Paramedic Services who had 27 years of service with the organization, which included planning for major events like the Pan Am Games. Following the collision, two other motorcyclists were rushed to hospital with critical injuries, but survived. The driver of the Chrysler sustained minor injuries. Police said Monday that the driver of the Chrysler is now facing charges following the investigation. Dennis Mountney, 38, of Hastings Highlands has been charged with careless driving, driving without a licence and driving a vehicle with an expired permit. He is scheduled to make a court appearance in Lindsay, Ont. on Nov. 2.